Posted on August 30, 2017 | 1932 views | Topic : News & Articles, Property News. PETALING JAYA: With Virtual Reality (VR) increasingly taking center stage, many analysts have predicted that the VR industry could turn into a multi-billion dollar industry, possibly a game changer of commerce in future. 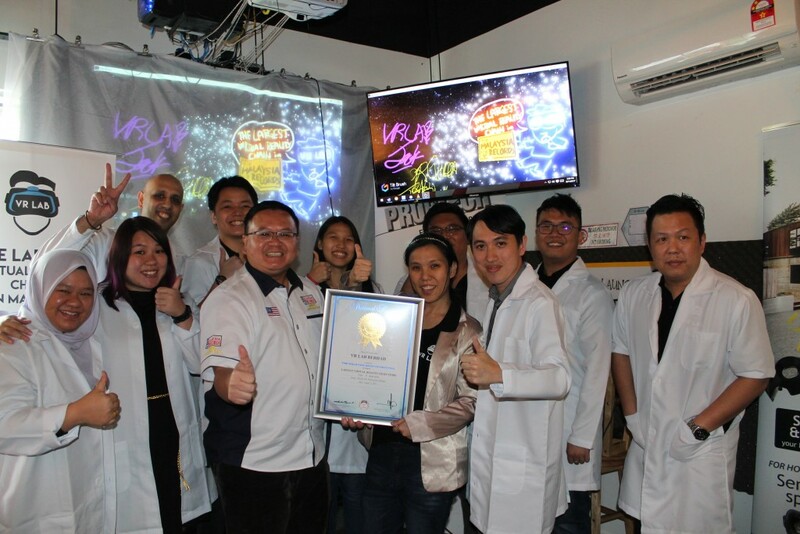 Malaysia Book of Records awarded VR LAB BHD, “THE LARGEST VR CHAIN STORE IN MALAYSIA” on 11th of August 2017 at VR Lab SS2 in Petaling Jaya. VR Lab Bhd, was formed by a passionate team of virtual reality enthusiast, introduces a first ever room-scale virtual reality technology in Malaysia. Poised as the country’s largest virtual reality chain store, it provides one stop solutions for all VR needs. 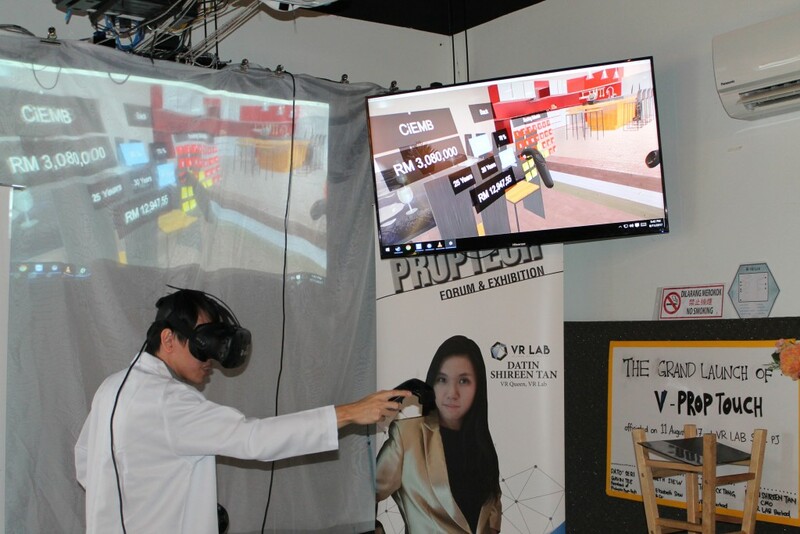 Since November 2016 to date, VR Lab Bhd has nine branches in total, seven branches is West Malaysia and one branch in Sabah and one branch in Sarawak, consisting a total of 106 headsets, 88 VR rooms, and occupying over 17,540 sq ft space targeting to open over 30 VR Lab Experience Centers throughout Malaysia by end of 2017, with over 400 VR experience rooms around Malaysia. 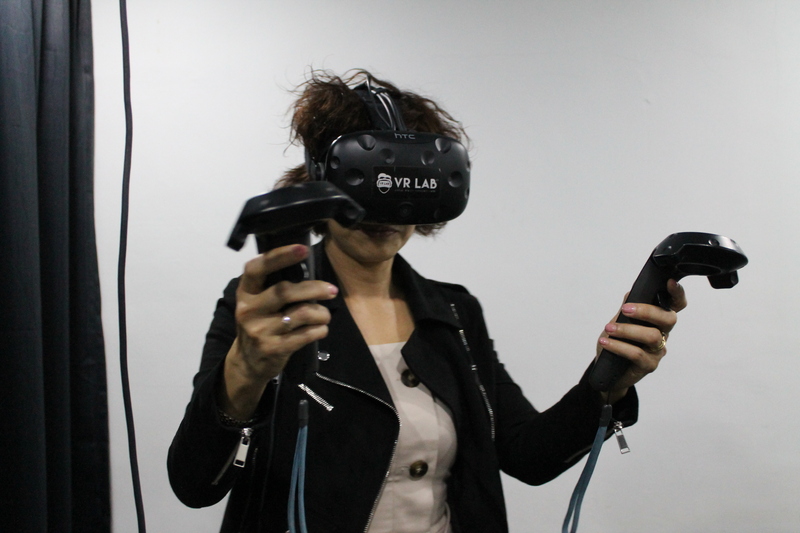 Besides VR gaming, VR Lab Bhd has extended its pipeline to VR commerce, known as V-Commerce. “Similar to Skype, a teleconference app, we develop on V-Touch, VR conferencing platform using HTC VIVE where people from around the world can interact with each other in a simulated environment real time using our VR platform”, says the founder, Datuk Jack Tang. The grand launch of VR LAB BHD home grown brand Intellectual property, VR property solution V-PROP TOUCH, is the first and only company to offer, a real-time online platform connecting property buyers and sellers around the globe to “MEET, VIEW, INTERACT & BUY” properties through virtual reality, fully immersive, interactive, multiuser, online portal to view real estate through VR anytime, anywhere utilising HTC Vive also took place simultaneously. UEM Sunrise, is the first property developer in Malaysia to allow property buyers to enjoy an immersive property viewing experience from the common facilities to their dream home with actual sense of space through VR, launching Solaris Parq in 4th quarter of 2017. V-Prop Touch not only holds the feature of viewing a property in the virtual reality, but also allows users to buy property inside the virtual reality too. Property buyers can meet property developers, lawyers and bankers inside a virtual show unit and complete an entire property transaction within 30 minutes utilizing V-Prop Touch. VR Lab is in collaboration with Messrs. Elizabeth Siew & Co, the 1st lawyer panel list in virtual reality. VR LAB Founder Datuk Jack Tang and CEO, Datin Shireen as well as VIP guest of honor, Malaysia PropTech Association president Datuk Seri Gavin Tee, were present at the event to officiate the V-Prop Touch launch. For more information, visit www.vrlab.my or email to V-Prop@vrlab.my.